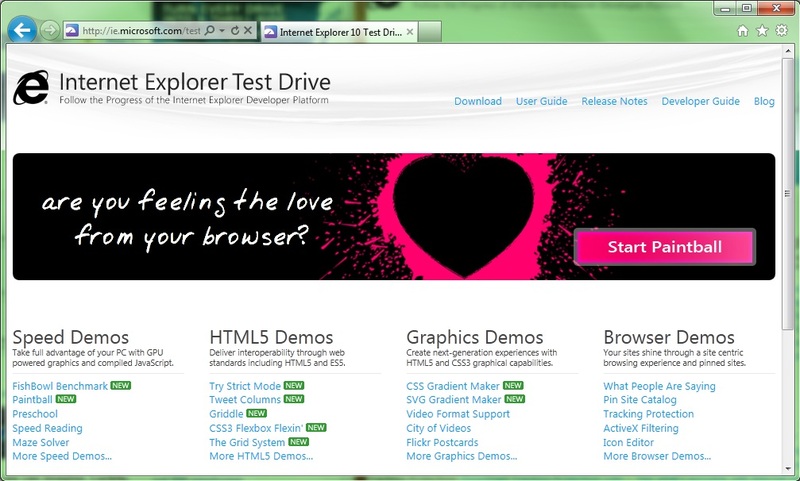 It has only been a few weeks since IE9 hit the Web, but Microsoft is already gearing up for its next major release. Minutes ago, at its MIX 11 conference, the folks from Redmond announced that the first platform preview of Internet Explorer 10 is available for download, right now. The new version of IE, now three weeks into development, will feature greater native support for HTML5, faster speeds, and advanced CSS. Ignoring Firefox, Microsoft went directly for Chrome, attacking its ability to render HTML5 sites as well as either IE9 or 10. Using tests at www.ietestdrive.com, representatives showed support for new emerging CSS3 standards like Multi-column Layout, Grid Layout, Flexible Box Laout, Gradients, 3D Transforms, and Transitions. During all HTML5 tests, Chrome majorly failed to keep up with Microsoft’s browser. However, it should be noted that these are benchmark tests created by Microsoft. Browser makers love to come up with their own benchmark tests and when they do, their browser almost always outperforms the competition. Microsoft had some harsh words for Google’s development approach as well. The company criticized the search giant’s decision to issue small updates every week or two and defended the idea of releasing substantial platform updates every 8-12 weeks, claiming it was much better for developers and gives them time and a much clearer idea of what its browser is capable of. It also gives them time to explore new features and give feedback to Microsoft. IE10 also resizes Web pages depending on your window size, much like how mobile browsers will auto resize text to fit your screen. Microsoft’s next developer’s conference is Sept. 13-16, 2011 in Anaheim, California. Representatives promised more features and demos will be announced at the next conference. When IE9 released, we were impressed with the new browser, but Microsoft’s slow updating history had us worried about its ability to keep up with Chrome. Today, the company showed that it has learned its lesson and is now moving forward at an accelerated pace, consistently attacking Chrome’s perceived advantages in speed and usability. It looks like IE9 may be just the beginning of a resurgence in browser support for Microsoft.